Our friends at Lawyers Title just briefed us on a new law that might save some of you RiverPark homeowners some money if you were thinking about drafting a will or establishing a family trust. Existing law provides that a person may pass real property to a beneficiary at death by various methods including by will, intestate succession, trust, and titling the property in joint tenancy, among others. For those individuals or families that do not have a will or the financial assets to justify the creation of a trust but still an economic method to transfer real property to their heirs, a new law just passed by the California State Legislature may be the answer to their problem. 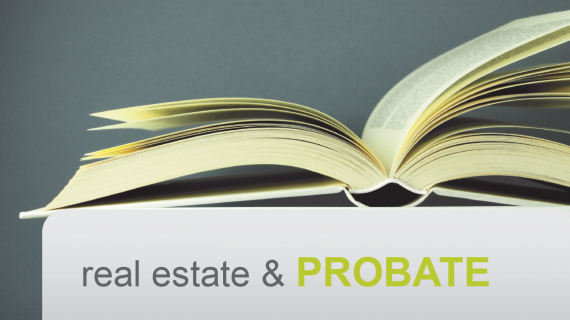 The new law which creates a non-probate method for conveying interest in real property upon death takes effect on January 1, 2016. The Revocable Transfer Upon Death Deed (RTDD) will allow automatic transfer ownership of property – defined to include 1-4 residential units, a condominium, or agricultural land of 40 acres or less – upon death of the owner, and must contain a legal description. A RTDD may only be revoked by a recorded document. The RTDD, during the owner’s life, does not affect his or her ownership rights and, specifically, is part of the owner’s estate for the purpose of Medi-Cal eligibility and reimbursement. The bill would void a revocable TOD deed if, at the time of the owner’s death, the property is titled in joint tenancy or as community property with right of survivorship. The bill would establish priorities for creditor claims against the owner and the beneficiary of the deed in connection with the property transferred and limits on the liability of the beneficiary. RiverPark 411 has the new statutory form and can provide them to you free of charge if would like to record a RTDD. The form provides information to the transferor, including an explanation of how the RTDD works, how it is effectuated, and some of its consequences. There are provisions for multiple beneficiaries and for what happens if multiple instruments are recorded affecting the same property. A beneficiary completes the transfer by recording an affidavit of the transferor’s death. However, a purported transfer is void if property is held in joint tenancy or as community property with right of survivorship when the transferor dies. ← It’s Football Season In RiverPark!